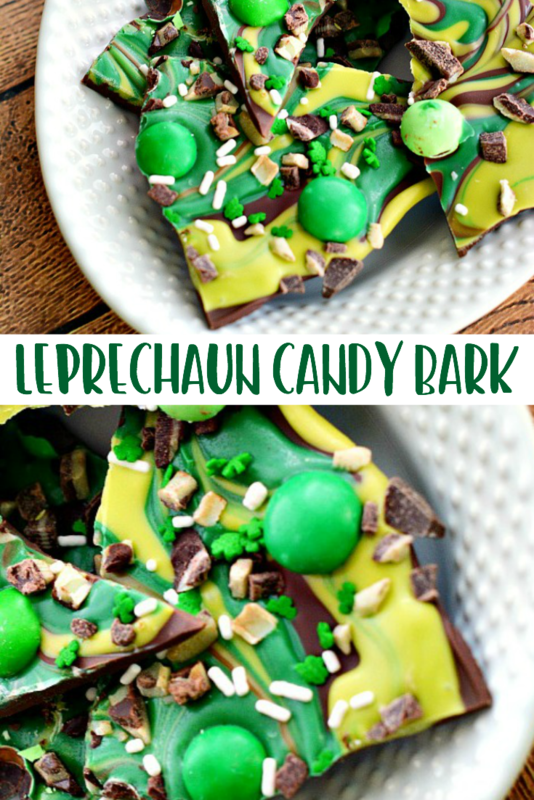 Have you ever had Leprechaun Candy Bark? 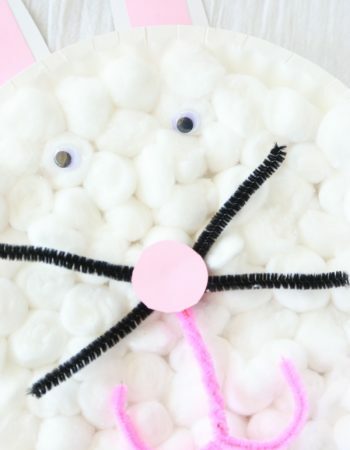 It’s super easy to make and only requires just a little bit of your time. To be completely honest here, I have no idea what St. Patrick’s Day is celebrated for, but I do know that I love all the green, gold, and rainbow treats that fill my Pinterest feed. 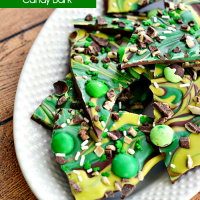 And since y’all know I’m all about easy recipes, you can bet this Leprechaun Candy Bark is super easy! 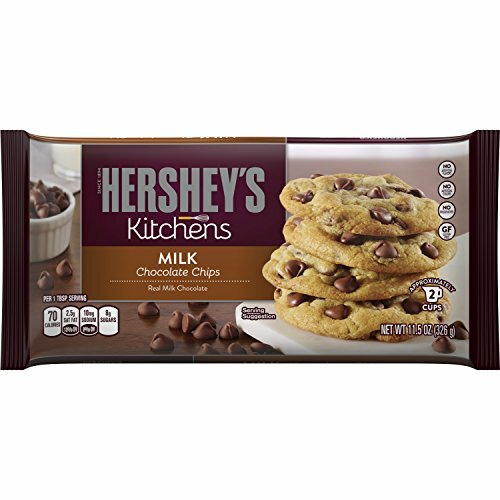 Milk Chocolate ChipsGet it now! 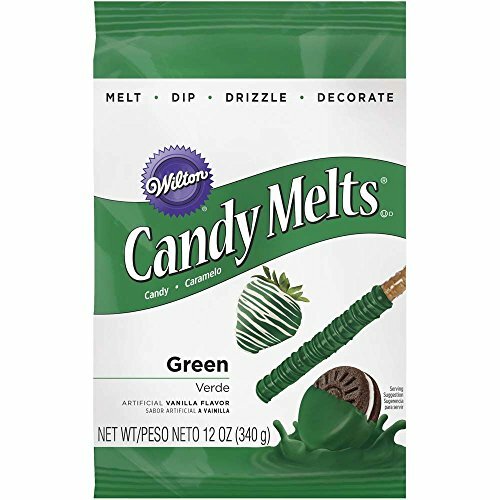 Green Candy MeltsGet it now! 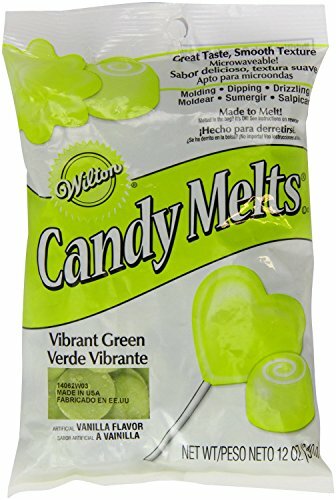 Vibrant Green Candy MeltsGet it now! 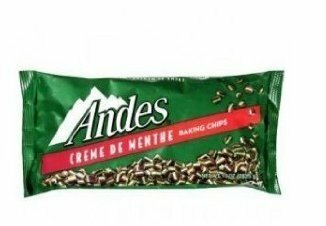 Andes Mint Baking ChipsGet it now! 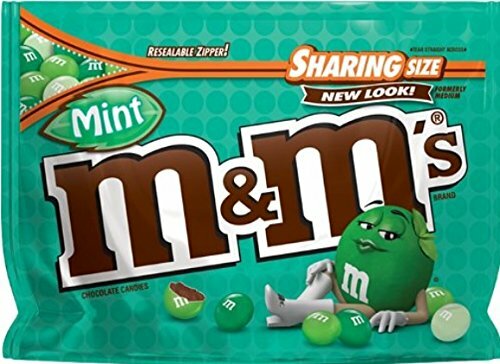 M&M’S Mint CandyGet it now! 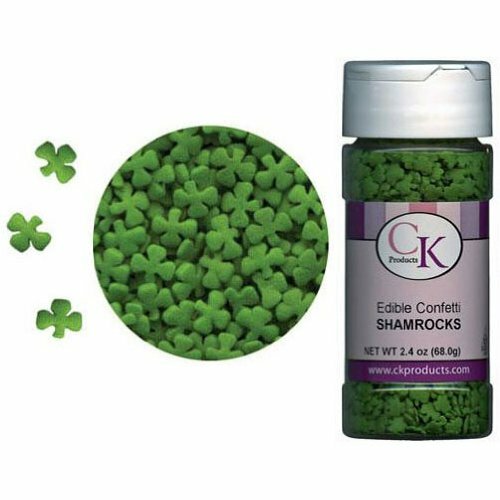 Confetti ShamrocksGet it now! Line a baking sheet with wax paper or a Silpat non-stick mat. In microwave safe bowls, melt the chocolate and candy melts at the same time in separate bowls for 30 seconds in the microwave. Stir and repeat until all three are melted. Quickly spread the chocolate over the surface of the wax paper (or Silpat mat) with a spatula in a thin, even layer. Drizzle each of the green candy colors over the chocolate. 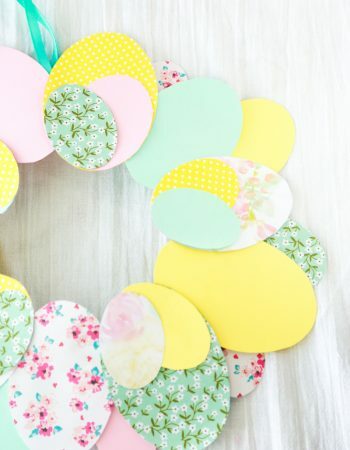 Use a fork or toothpick to swirl the colors in circular patterns. Top with mint chips, M&Ms, candy decorations and refrigerate for at least 2 hours. Break the candy into pieces and serve! Seriously, it doesn’t get much easier than this. 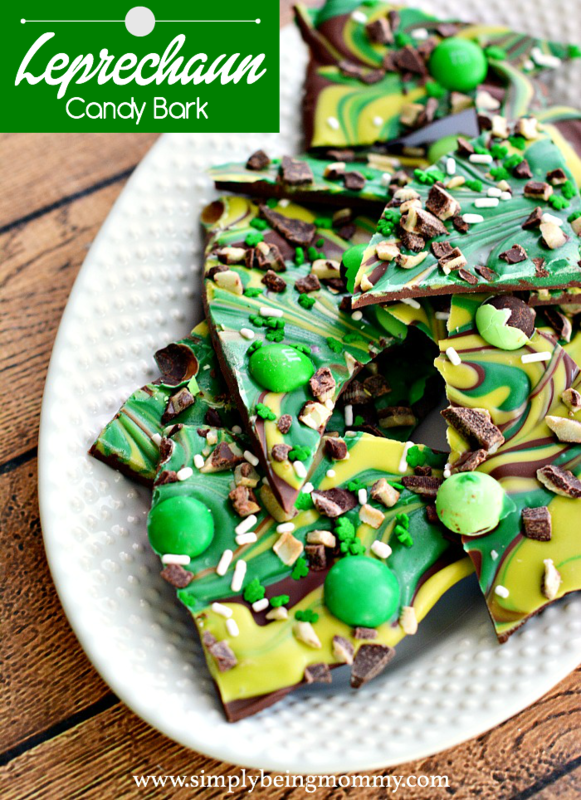 This Leprechaun Candy Bark is a tasty and colorful treat for St. Patrick’s Day. I just love it. So simple that even the kids can help. Make some for the neighbors, make some for your friends, make some for your child’s teacher. Such a tasty treat and perfect for sharing. Don’t forget to save this Leprechaun Candy Bark on your candy or St. Patrick’s Day Pinterest boards. Also, if you’re not following me, you’ll want to follow me because I’m pinning all kinds of yummy treats. Oh, and don’t forget to wear green on St. Patrick’s Day. Who wants to be pinched? 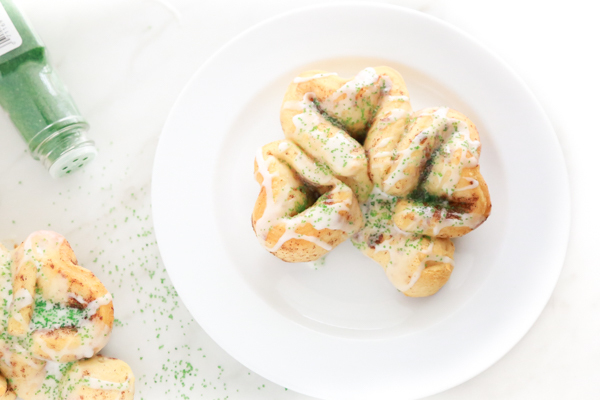 Looking for more St. Patrick’s Day inspired treats. I’ve got you covered. If you’re in need of the ingredients to make this Leprechaun Candy Bark, shop Amazon. Remember, free shipping with Amazon Prime. Sign up and get your free 30-day trial. How cute is this?! I love Andes candies so much! 🙂 I pinned for you as I definitely need more St. Pattys ideas. I love how beautiful candy bark can be! This looks like a work of art! WOW! This looks like so much fun! I love the different shades of green in it, too! Thanks so much! How festive! These look delicious. My boys would love them. 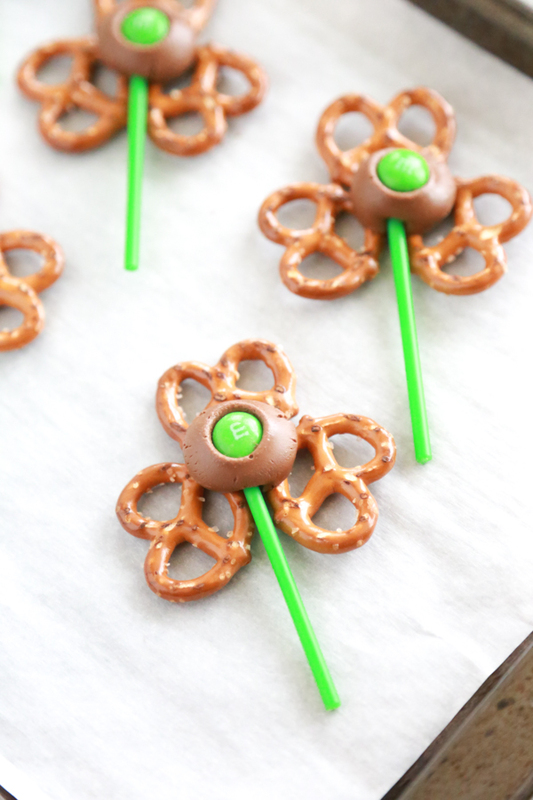 What a cute idea for St. Patrick’s Day! 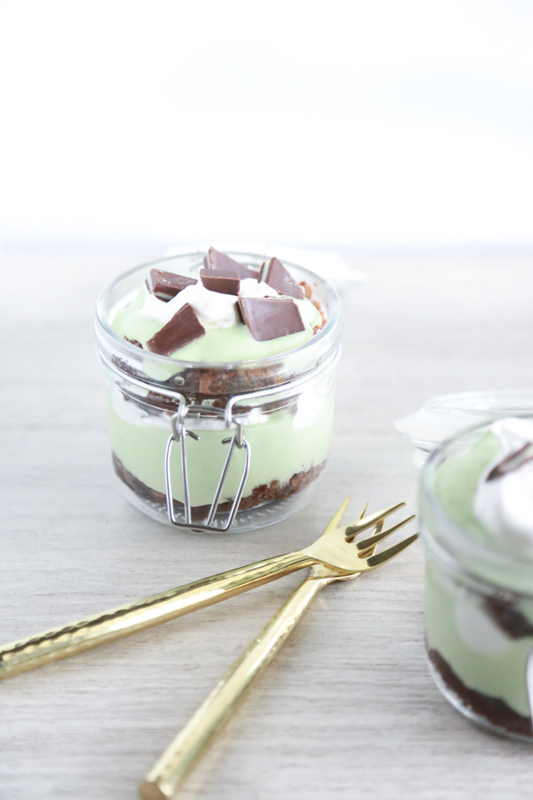 My boys love mint with chocolate, so I’m sure it would be a hit in our house. That looks like a great treat! My son loves mint with chocolate. These look incredible! I love the green swirls! This looks so good! I bet it tastes amazing and the colors make it even more enticing! I absolutely love these fun holiday themed candy bark! I have to make these for my girls and their girl scout troops this year!!! My husband loves bark. I bet he’d enjoy these for St. Patrick’s Day. 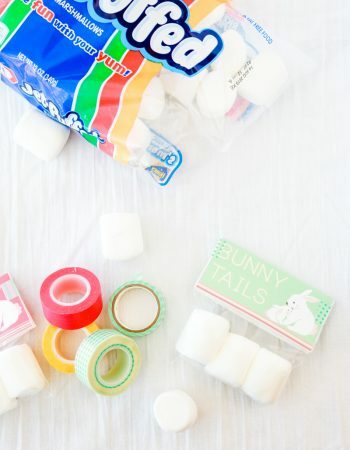 This looks really yummy, and fun to make. My children have been asking to make some new desserts and I think this is the one we will start with. My mother in law’s birthday is on St Patrick’s Day, so I remember the day well! 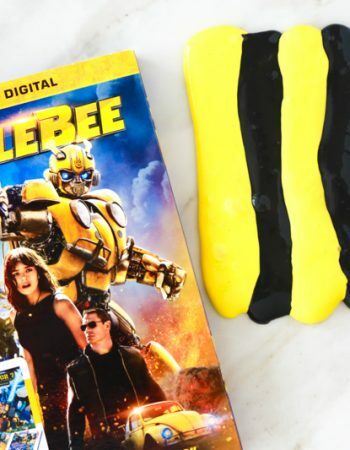 This looks like such a delicious candy snack for kids to enjoy for the holiday. I am saving the recipe to try out! I love this so much! I cannot wait to make this for my family this weekend. I have never made bark before but this looks so good I can’t wait to try it. That looks delicious! I love making candy bark. I love candy bark!! This Lepreghaun bark looks amazing, I love how green it is! I love bark! How can you beat something that tastes good, is easy to make, and can be made in so many different ways! I’ll have to be careful not to be pinched. lol I love how easy this Leprechaun bark is to make and it’s so colorful! I’ll try to remember to wear green on St. Patrick’s Day too. This looks amazingly delicious and so super festive too! I really like the different shades of green and all of the unique ways you could customize your bark. You had me at ANDES MINTS! Yummy! I need to make this, I can just imagine the delicious taste…..and look at the design! So cute and festive! I’ll have to try this. I could use something yummy like this right about now. Mint and chocolate? What is not to love? I love to make recipes like this. It looks delicious and easy to make. I will have too make some on the weekend. This leprechaun bark looks wonderful! It would be perfect for a snack in my husband’s lunch as we move into March. how cuteee. i love the colors and the recipe sounds amazing. 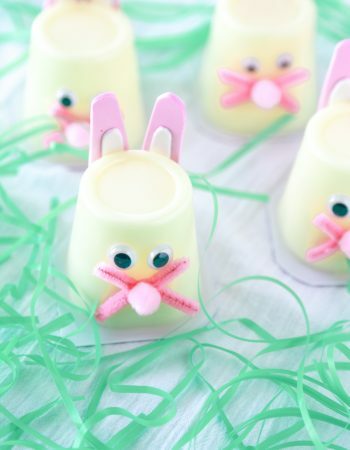 Not only does this look super yummy, it is super cute, too! Have to make this with my daughter! This is so beautiful and looks amazing! Love the colors swirls in it!